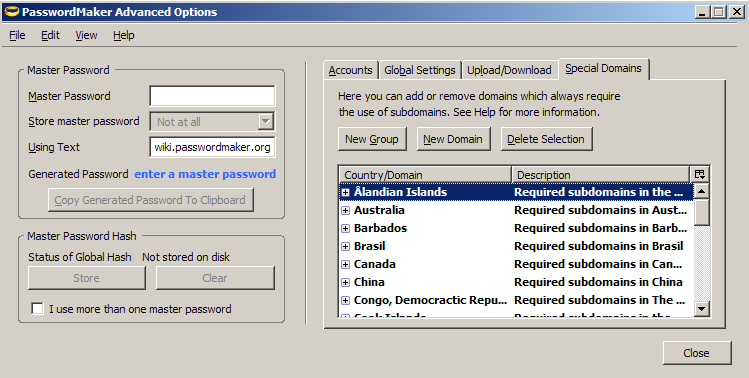 The following screenshots were all taken from Firefox, but will be virtually the same for all supported browsers. 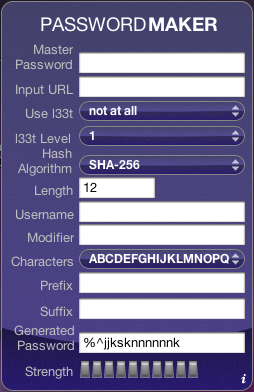 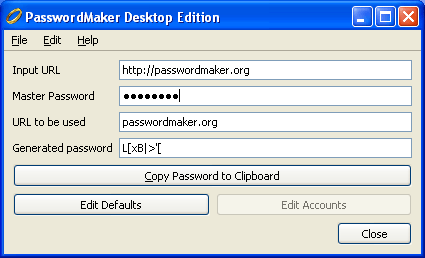 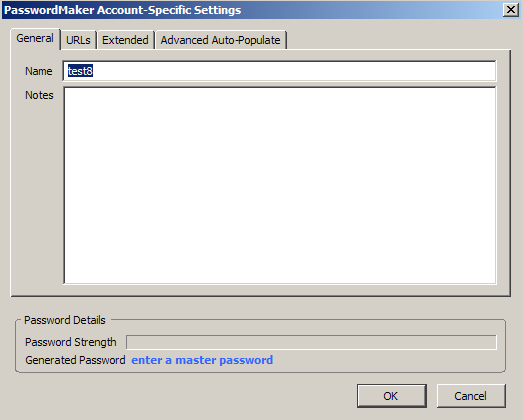 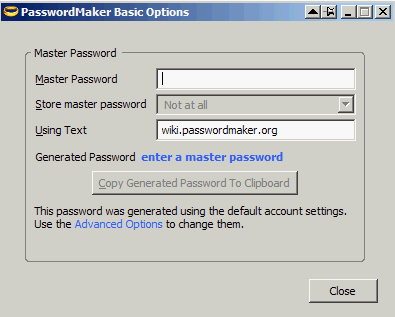 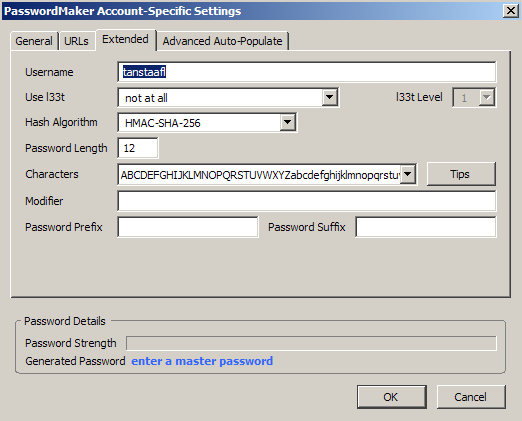 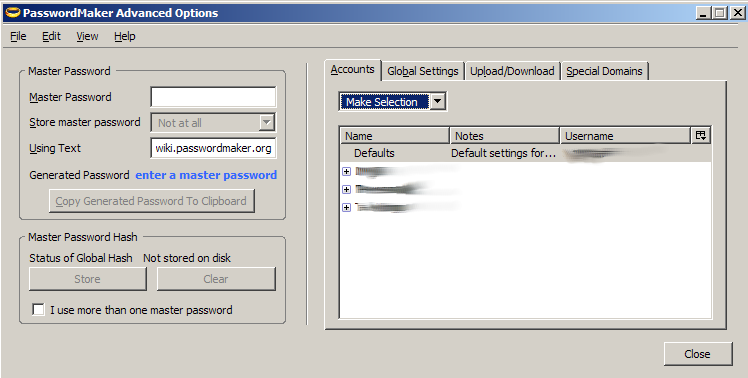 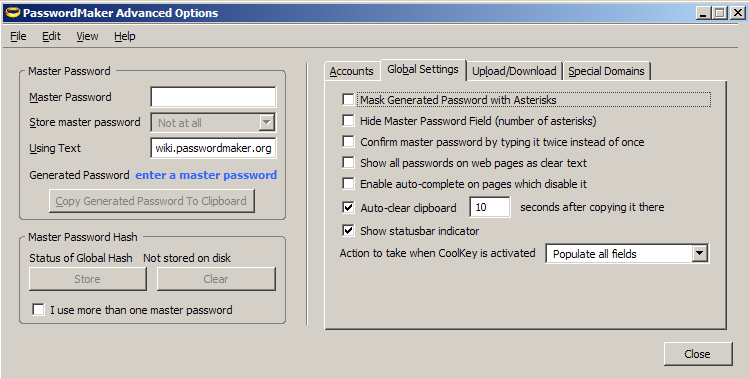 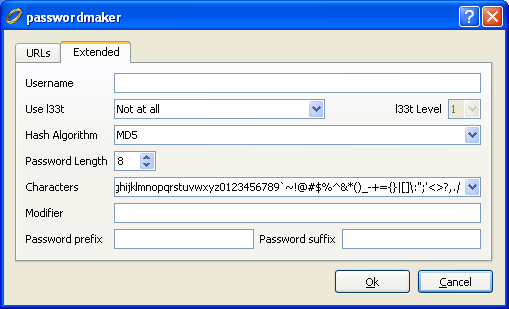 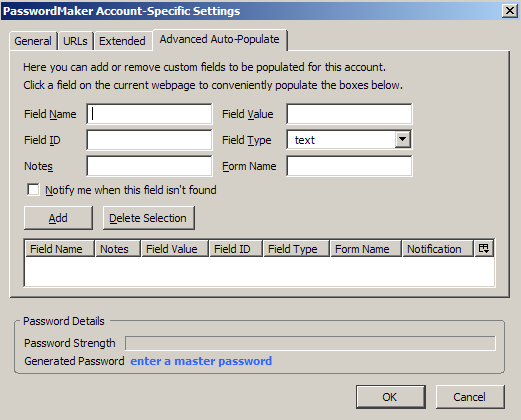 Following are screenshots of the Advanced Options available in the Firefox/Mozilla/SeaMonkey/Flock/Netscape edition of PasswordMaker - but you are encouraged to first learn the basics of how PasswordMaker works by following the instructions on the Getting Started page, before moving on to the more advanced features. 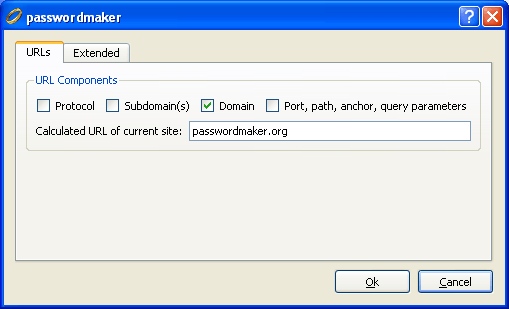 This page was last modified on 25 February 2010, at 14:46. 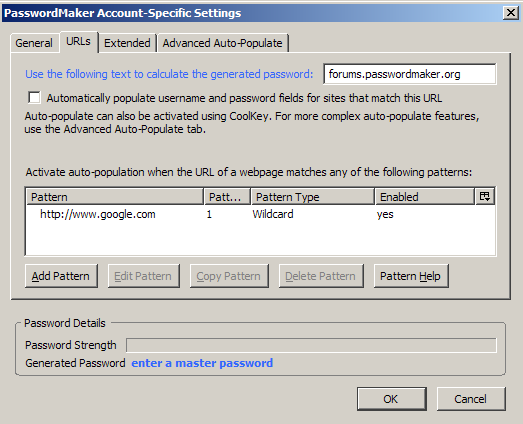 This page has been accessed 100,050 times.